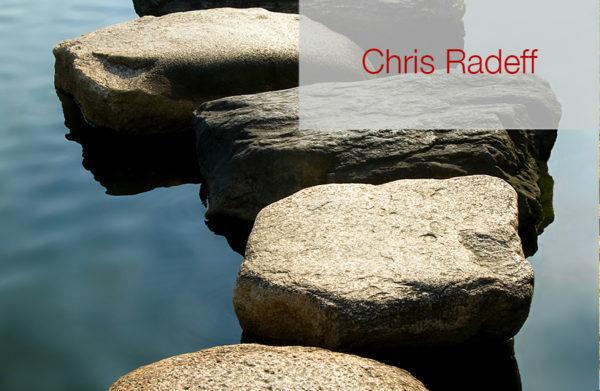 Chris Radeff offers both a broad and a deep understanding of the issues and procedure necessary to pursue complex family and domestic law matters. A Political Science graduate of the University of Northern Colorado, Ms. Radeff proceeded to the University of Denver, College of Law. Upon graduating, Ms. Radeff began work with Project Safeguard, an organization committed to the development and enforcement of sanctions against batterers while providing assistance and guidance to battered individuals. After working as a sole practitioner, Ms. Radeff joined Jon Slaughter Pelegrin & Associates as an associate attorney in 1997. Ms. Radeff was named partner in 2000, and then Managing Partner in 2001. In 2017, Ms. Radeff became the sole shareholder of Pelegrin & Radeff, P.C., when Jon Slaughter Pelegrin decided to fully enjoy her retirement years and became an inactive status attorney. Ms. Radeff has developed a detailed understanding of the intricacies of Colorado law on dissolution proceedings, and regularly works with complex, difficult and litigious cases. She serves as a Guardian ad litem for mentally incapacitated adults in domestic matters. She also has been qualified as an expert in attorneys’ fees in domestic matters. Ms. Radeff remains an active community member. In 1998, she participated as a private attorney in the University of Denver, College of Law, Clemency Project to secure clemency for battered women. She teaches many Continuing Legal Education courses to attorneys throughout the metro area in the areas of family law, protection orders and domestic violence. She continues to lead public seminars to instruct individuals without attorneys on how to file domestic actions themselves. Ms. Radeff has held numerous leadership roles during her career. She fulfilled terms as President and Treasurer of the Board of Directors of Project Safeguard. She served on the Board of Governors of the Colorado Bar Association. She currently serves as the President-Elect of the First Judicial District Bar Association, having previously served an initial term of President in 2006-2007. She also serves on the Court Support Jeffco Board. She is the co-founder of the Women’s Collective Giving Group. Additionally, Ms. Radeff is a 2015, 2016 and 2017 Super Lawyer. Ms. Radeff enjoys a good book and traveling; her favorite adventure so far was a visit to Alaska where she found the pristine natural beauty to be incomparable. Her favorite stress reliever is to take her dog for walks in the Colorado Open Space.